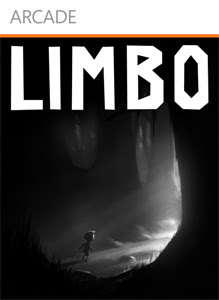 Limbo is a unique 2D platform game that takes place (I assume) in Limbo; the place between life and death that lies at the entrance to Hell. 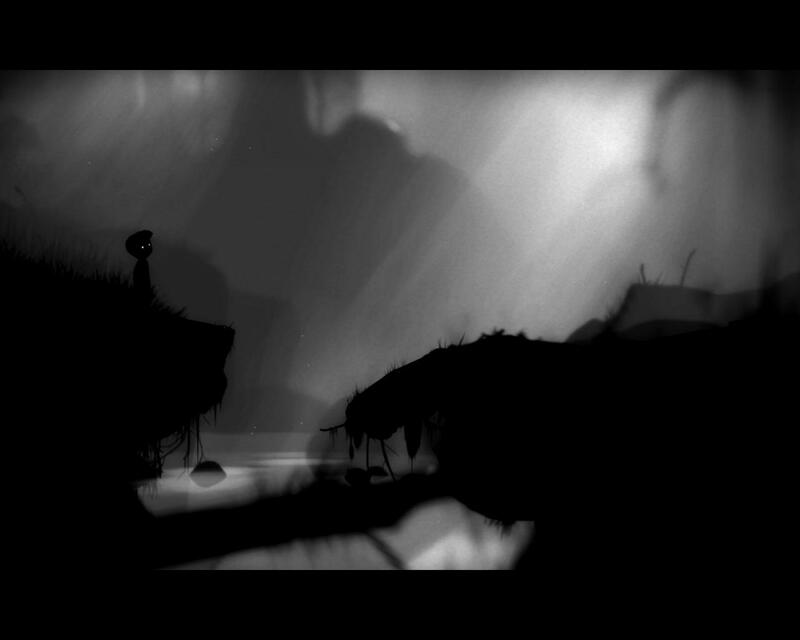 The game is black and white, and is very German expressionist in its look (think the 1920's Nosferatu) If I had to sum up Limbo I would say it feels, and sounds like a 2D Ico. A young boy wakes up in a dank dark forest. Maybe on a quest to find a loved one, or maybe just on a quest to escape the nightmare he has found himself in. The game takes place over one looong level. There are no real enemies in the game, instead you (playing as a small boy) must traverse the environments, and avoid the many traps littering the place. There are bear traps, falling blocks, spiked pits, and even spinning blades to avoid, each leads to instant gory death. 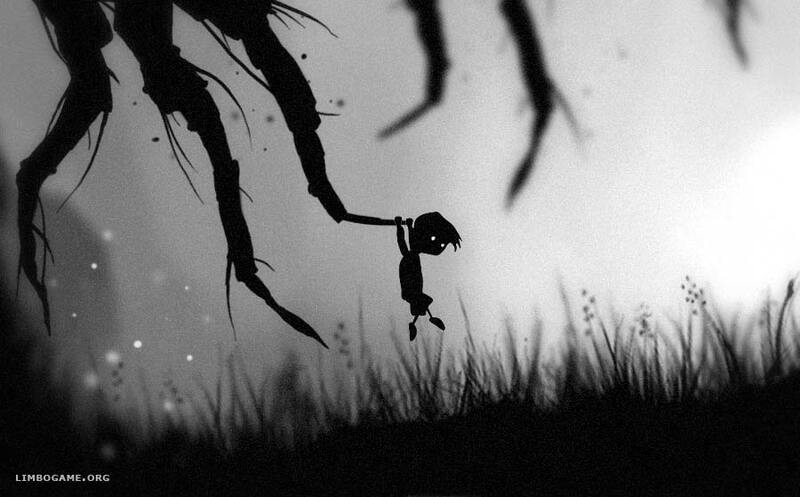 Though the game is black and white it can still be quite graphic, the bear trap death for instance sees the trap close over the boy severing his head, while falling into a spiked pit will lead to the boy being impaled on one of the spikes. Though there is just the one level the locations do change. Starting off in a forest your journey takes you through silent towns, watery underground caves, and giant industrial areas. All in black and white, but all looking really unique with their film noir look. The boy himself for the most part is a black outline, with 2 bright white eyes. At times all you can see are the eyes of the boy as he makes his way through the dark locations. The boy is able to climb and jump up ledges, drag obstacles such as crates to help him up higher ledges, and trigger switches. The game is never too hard, though later puzzles involving gravity reversals, and lifts crank up the difficulty. Each time you die (of which there will be many deaths) only puts you back a small amount, and reloads instantly so is never frustrating. There are other characters and creatures in the game world. Early on a giant Spider harasses you, while other humanoid shapes run from you, and impede your progress. These disappear in the later parts of the game which is a shame, but works in the context of you travelling from more alive natural areas to giant concrete factories. There is no music to speak of, but there is constant background noise. Rain splashing down, birds tweeting, steam pipes, and creaks all form to make an alive feeling place. Onto badness though. The game is amazing and special feeling, but is quite short. I had completed it in around 2-3 hours. 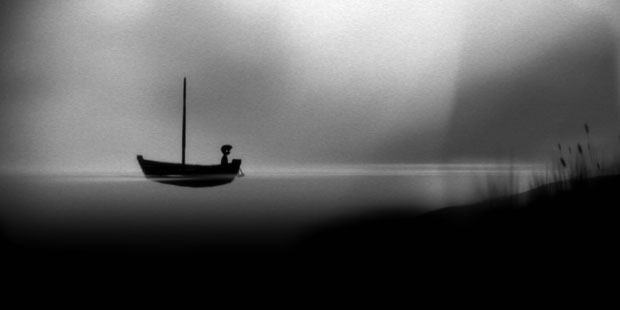 The game is pretty much linear, with no room for exploration, the theme of the game means repeated playthroughs would make sense, but it is not worth the cost. The game is 1200 Microsoft Points which is about £9 or £10 maybe? 800 would have been a far more realistic price as there just is not enough content to warrant that inflated price. Still the game is atmospheric and dark, and is special. I would recommend getting it if it's ever discounted.